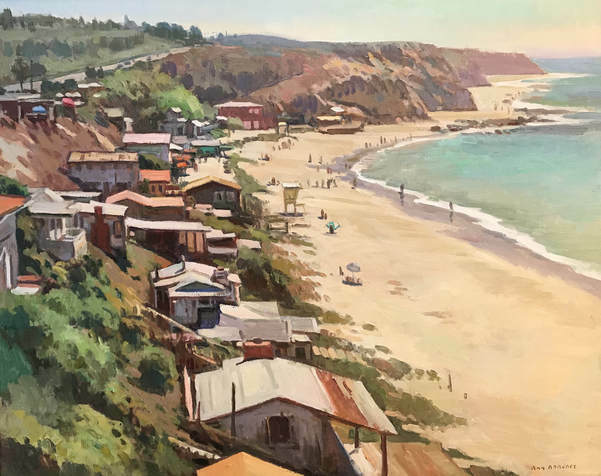 Award winning revered artist Ray Roberts was born in 1954 and grew up in Orange County, California with its orange groves, before the days of freeways and sprawling housing developments. This has given him an enduring affection for the untamed, undeveloped California of his youth. In 1969, after the early death of his father and mother's ill-health, Ray was sent to Orme School, a beautiful, ranch-style boarding school in the Arizona desert. Its strong fine arts program helped him to discover his artistic talent. He then attended the Art Center College of Design in Pasadena, California, where he studied under John Asaro. He has also studied under Dan McCaw, Len Chmiel, Ned Jacob, and Mark Daily, among others. Peggi Kroll. While dating, the two of them would go out nightclubbing, to sketch rather than dance! It has been a successful partnership ever since. Like many successful artists before him, Ray first pursued a career as an illustrator, establishing a studio in Los Angeles and then Scottsdale, Arizona. He got up the courage to switch to fine art in 1992 and has never looked back. Ray and Peggi now live on a 20 acre ranch in Angels Camp, an old California gold rush town, surrounded by the oak-studded hills and travel to teach and paint. 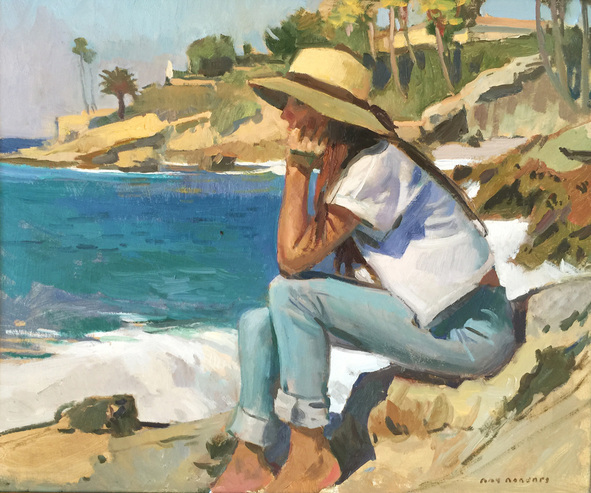 "Vista from San Pasqual Highway"
"Deep in Thought, Laguna Beach"
"Cliff Walk La Jolla, CA"